In Vancouver's historic downtown, software, desgin & engineering firms are joining forces with restaurants, brewpubs and galleries in a nascent downtown renaissance. Anchored by Esther Short Park, voted one of the best public spaces in the US, and surrounded by miles of bike lanes and riverfront trails, this area is home to a growing community of tech entrepreneurs. The combination of affordability and urban amenities makes downtown Vancouver a great place to start and grow a business. Located on the Vancouver-Camas border and dotted by technology corporate campuses likeLOGITECH, this area is poised for significant growth. It is widely recognized as a highly livable community that competes favorably with other locations in attracting in demand talent. Vacant land, available office space, and proximity to downtown Camas, an international airport and industrial port make the 192nd corridor and attractive place to start and grow a business. The Vancouver-Camas IPZ was awarded its IPZ designation for an applied digital technology accelerator. This will significantly boost the region’s ability to grow a knowledge-based economy and enhance jobs and business opportunities in emerging digital industries. 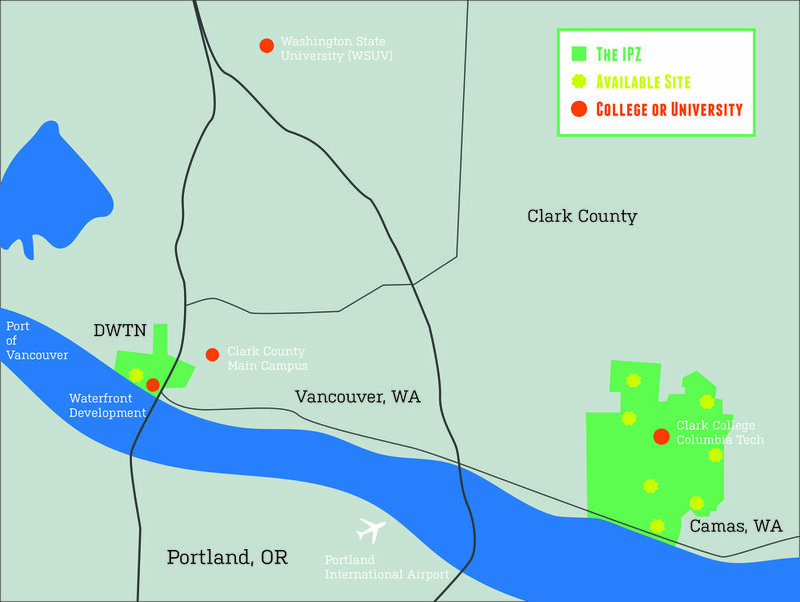 The IPZ is focused on two geographic areas: the Downtown start-up community and technology campuses along the 192nd corridor.